2006 Yamaha R1 driven by Mikell Green. 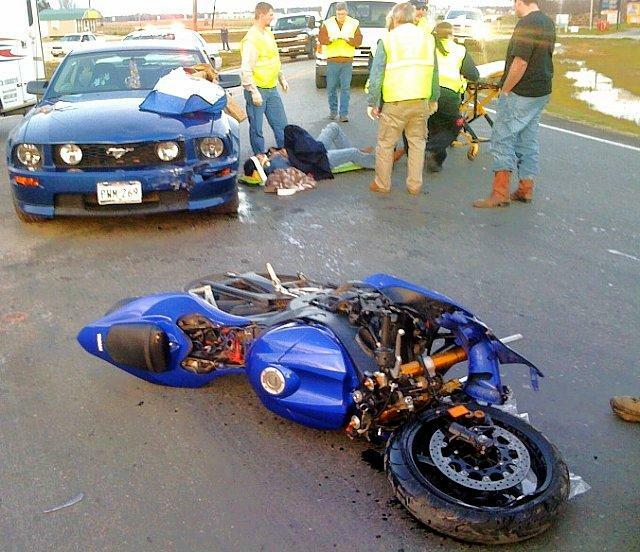 Motorcyclist Hospitalized After Being Hit by Car, LIVINGSTON, February 25, 2010 - At approximately 5:40 pm on February 25, 2010, a blue 2009 Ford Mustang driven by Deborah Bolton, 48, of Livingston was south-bound on FM-350 South. Bolton attempted a left turn onto FM-3126 when her vehicle struck a north-bound blue 2006 Honda R1 driven by Mikell Allen Green, 23, also of Livingston. The collision ejected Green and his passenger from his motorcycle sending both onto the hood and over the roof of the car. Americare Ambulance Service was dispatched to the scene along with Deputies from the Sheriff's Office, the Livingston Volunteer Fire Department, and DPS Trooper David Flowers. 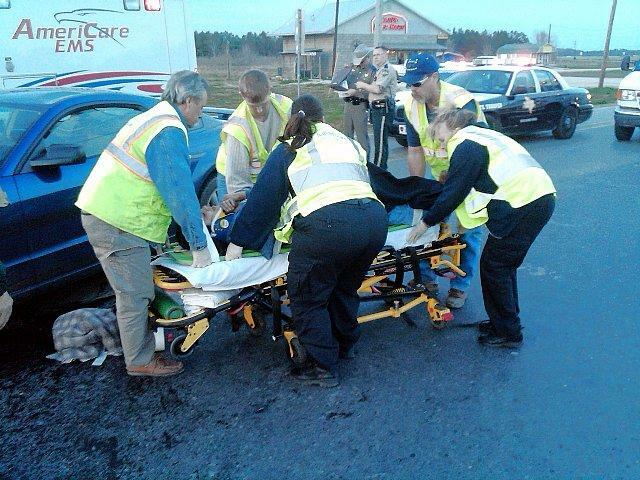 Both Green and his passenger were transported to Livingston Memorial Hospital by Ambulance with undisclosed injuries. Bolton was physically fine. Traffic was narrowed down to one lane and directed as the accident was being investigated and cleared. According to Trooper Flowers, Green was at fault as he failed to stop at a stop sign, and Bolton had the right-of-way. Green is issued citations for: Failure to stop at stop sign, no insurance, improper driver's license (not a motorcycle DL), and driving with a suspended license. 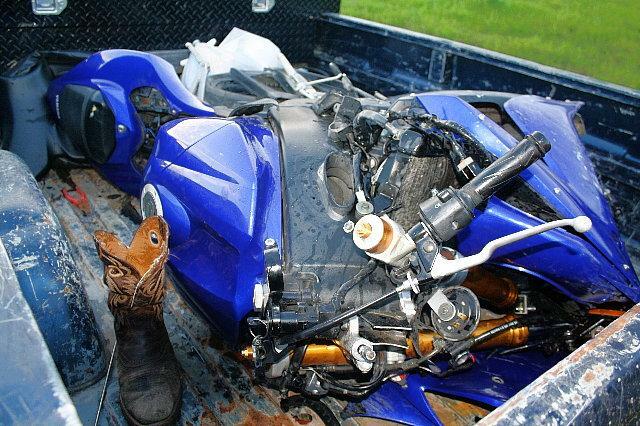 Greens' motorcycle was recovered by friends who put it in the back of a pickup. Bolton's vehicle was still drivable and was driven away. The scene was cleared by 6:25 pm. The accident is very similar to another car -vs- cyclist on 350 South just one day earlier. Special thank you: Ben Ogletree, III, and Christian Schanmier. 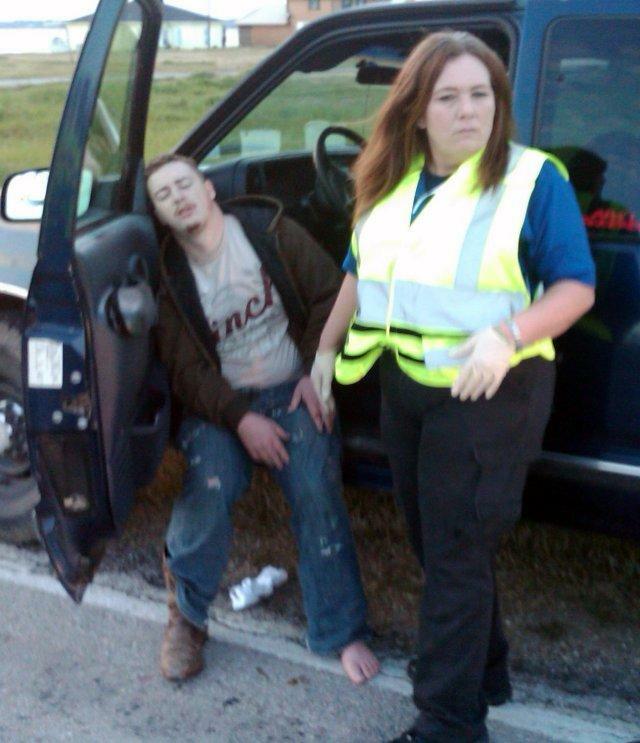 Mikell Allen Green of Livingston staggered to a friends truck. EMS Personnel work on Green's passenger. Green's passenger is loaded onto a waiting ambulance and taken to Livingston Memorial Hospital. 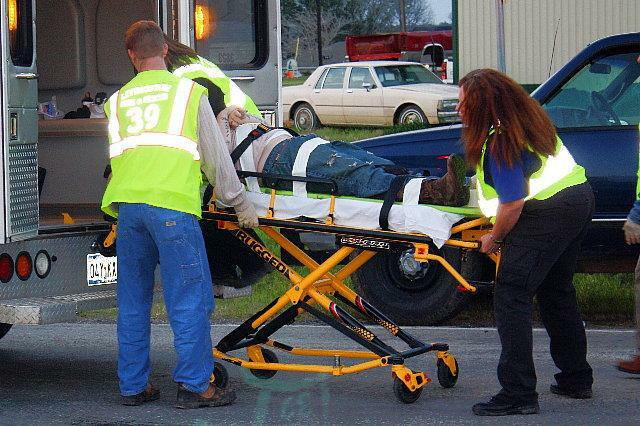 Mikell Allen Green is loaded onto an ambulance and taken to Livingston Memorial Hospital. 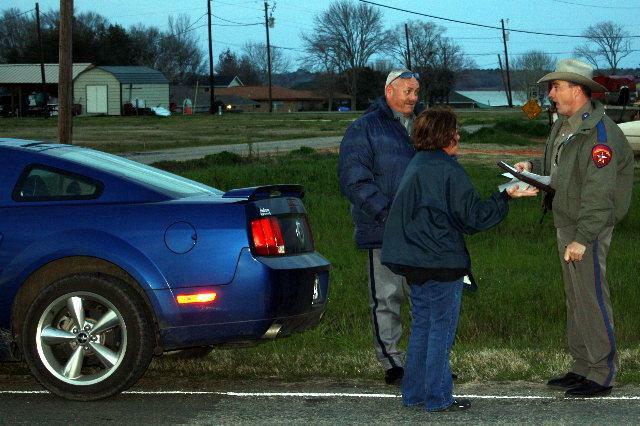 Trooper David Flowers talks with Deborah Bolton (left). Marks on the front, hood, cracked windshield and dinted roof. 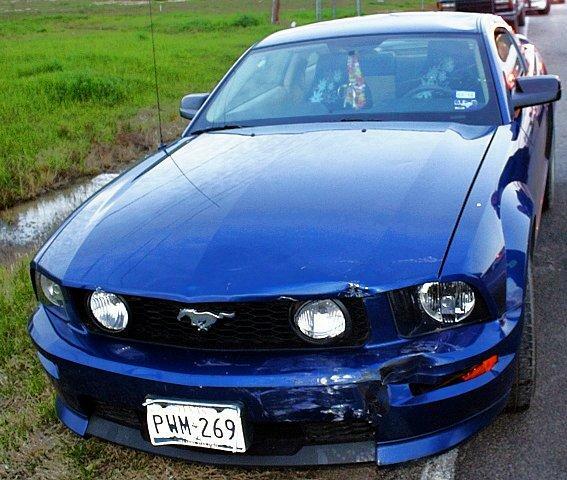 Green and his passenger went over the 2009 Mustang. 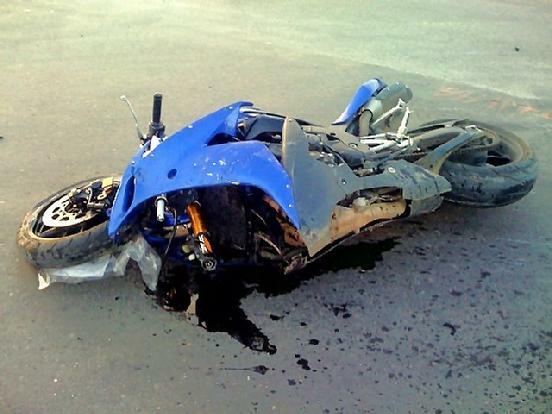 Green's motorcycle was loaded into a friend's pickup.